(VOVWORLD) - The 2nd Eurasia Women’s Forum opened Wednesday in Saint Petersburg with an exhibition called “Made in Russia: Exports created by Women”. The 4-day forum, attended by Valentina Ivanovna Matvienko, Chairwoman of the Russian Federation Council is themed “Women for global security and sustainable development” and will draw 2,000 delegates from 100 countries. Russian President Vladimir Putin will deliver a speech on Thursday. The Vietnam delegation, led by Vice President Dang Thi Ngoc Thinh, will deliver 3 papers during the event. 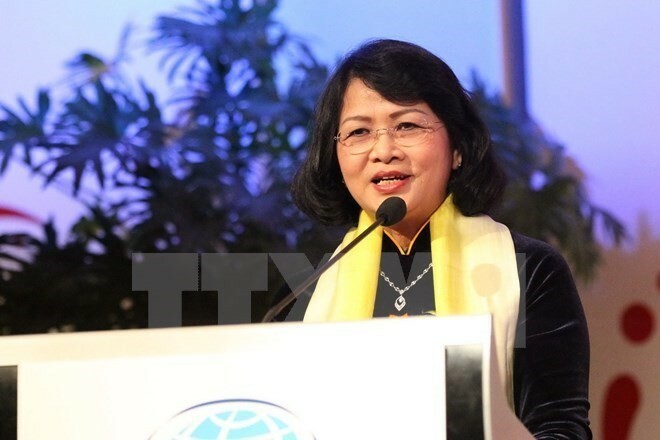 Vice President Thinh will have an important speech at the plenary session of inter-parliamentary dialogue themed “Woman for stable development of the globe”.